From Bret Feddern's "2010 College Football Rankings: 10 Leaders Who Out-Coach Their Talent"
More often than not, mediocre coaches get credit for the success of programs and recruits they inherited rather than their own efforts or merits. Almost any head coach can be successful when inheriting a team full of four- and five-star recruits and a healthy foundation under the program. Unfortunately, not all coaches are awarded their position under such circumstances, and not all programs have the ability to lure in four- or five-star recruits. Those situations prove that a college football head coach needs to be a professional who can train and develop football talent in players. In order to rebuild a program, a coach has to do more with less. That means taking average recruits and developing them into the best they can be. There are several coaches in college football these days that have been doing just that. The state of Arizona isn't exactly a hotbed for high school football activity. Since much of the state is a desert wonderland, the temperatures don't lend the most conducive atmosphere to football. That hasn't stopped Arizona head coach Mike Stoops from turning the Wildcats into a Pac-10 competitor. Stoops has always gotten more out of less, from when he was a player to his time as a head coach. 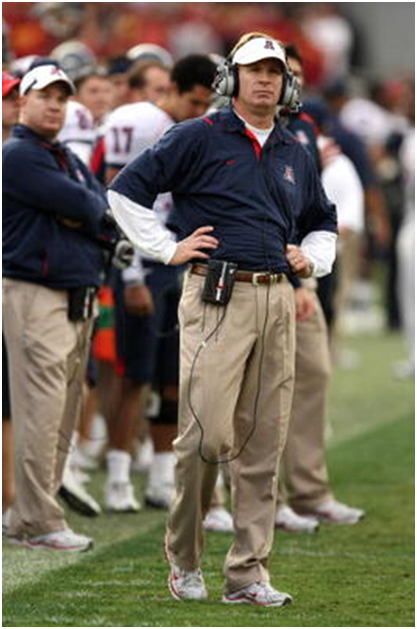 He is a true believer in hard work, and that has paid off well for Arizona. This past year, despite losing key players in talent positions, Stoops was able to land the Wildcats in the Holiday Bowl and finish the season ranked No. 23. Kirk Ferentz might be the king of doing more with less. Ferentz and the Iowa Hawkeyes coaching staff have consistently overachieved with the talent they've had on hand. That, or experts have underestimated every recruiting class at Iowa since Ferentz took over. According to Rivals, recruiting classes at Iowa under Ferentz have averaged a ranking of 40 nationally. Yet, year after year, Iowa sends player after player to the NFL. This year, Iowa had seven invites to the 2010 NFL Combine, which tied for the most players from any one school. This year's NFL Draft could see six Hawkeyes selected. 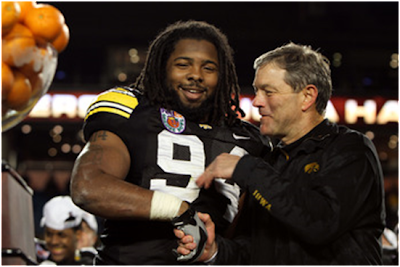 Ferentz is known to look for the diamond in the rough, and it works well for him. If you need proof, just ask Dallas Clark.